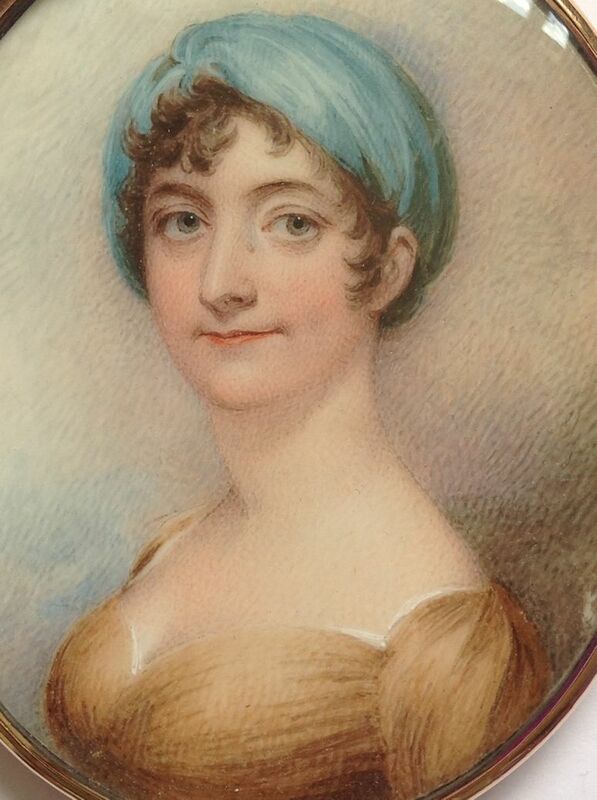 This animated portrait of a young lady is by a leading artist from the heyday of miniature painting, William Wood. 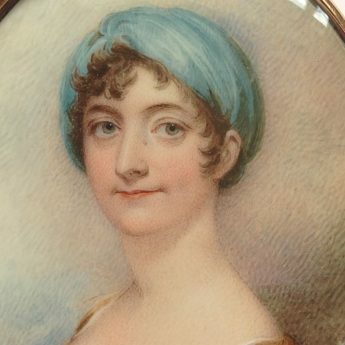 It shows a young lady with strong facial features (including a blemish on the side of her nose) and a direct gaze. She is wearing an ochre-coloured décolleté dress with a narrow trim in white. 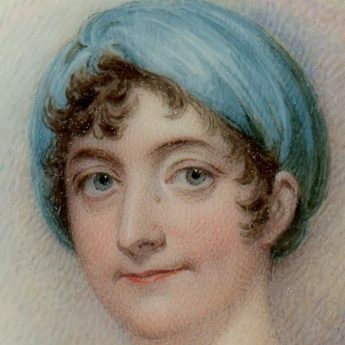 Her dark hair is worn cropped and curled, as was the fashion at the turn of the nineteenth century, and is covered with an eye-catching blue turban. 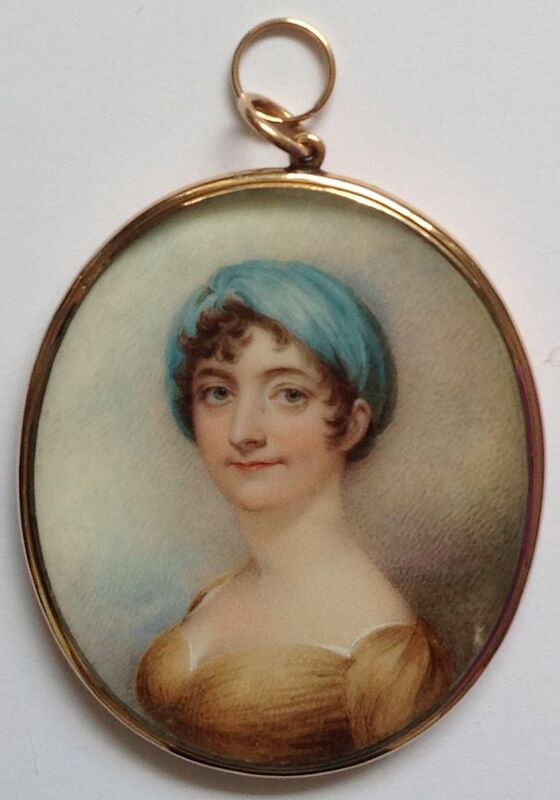 The portrait is set in the original 14 carat gold frame that is enclosed at the back. There is a small area of paint loss on the edge at 4 o’clock and dust under the glass. Otherwise it is in fine condition. 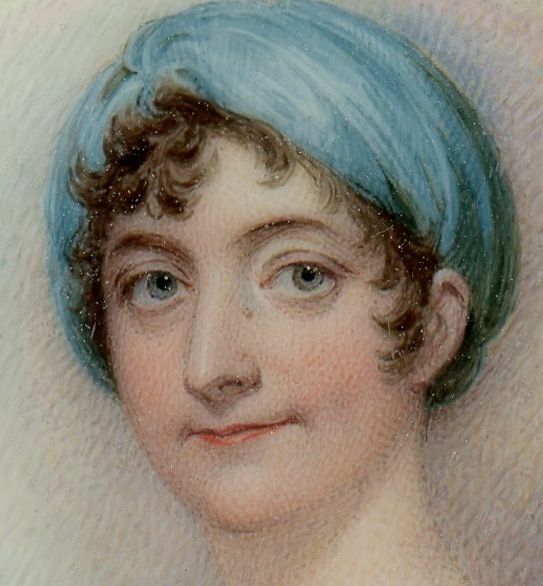 William Wood (1768-1809) entered the Royal Academy Schools in 1785 when just sixteen years of age. He subsequently worked in London, Bristol, and Gloucester. His work is critically well acclaimed.